The wine glass for all, who do not do things halfway. There is finally a good reason, why one cannot close wine bottles again. 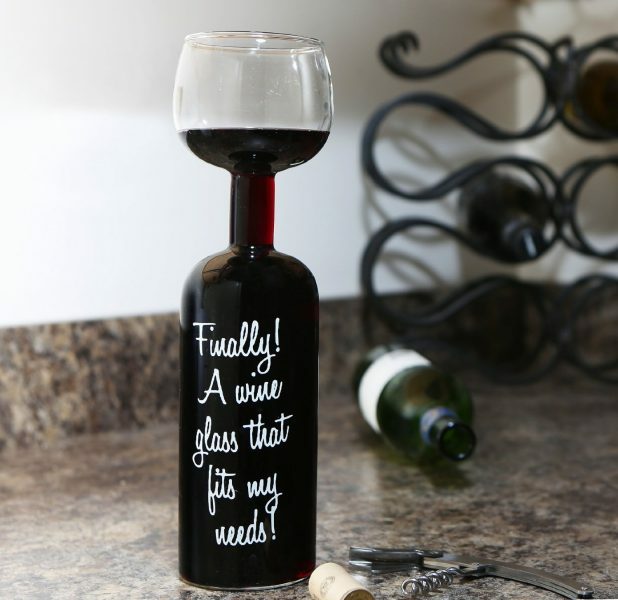 😉 Don’t we all know somebody who would be very happy about the full bottle wine glass? The constant refilling is nevertheless somehow annoying and in addition one can save oneself the decanting process with this wine glass. 750 ml capacity. Very good. The ideal gadget for people who prefer efficiency rather than class in their wine-to-glass ratio.